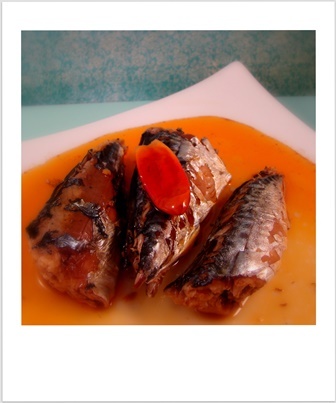 On this Today’s Special I would like to introduce you to a Conservas Pinhais product: the Spiced Mackerel in Olive Oil. This can caught my eye in a shop in Berlin. I had no previous knowledge about the company nor about this particular product before. I chose it merely based on the fact that the package looked good, feeling I was in the mood for Chub Mackerel and assuming it was a quality product since it was being sold on that particular gourmet shop. Before opening this tin of goodness, I did some research about Conservas Pinhais and I gathered a few interesting facts to share with you here. For starters, this company was founded in 1920 in a fishing village in the north of Portugal named Matosinhos. 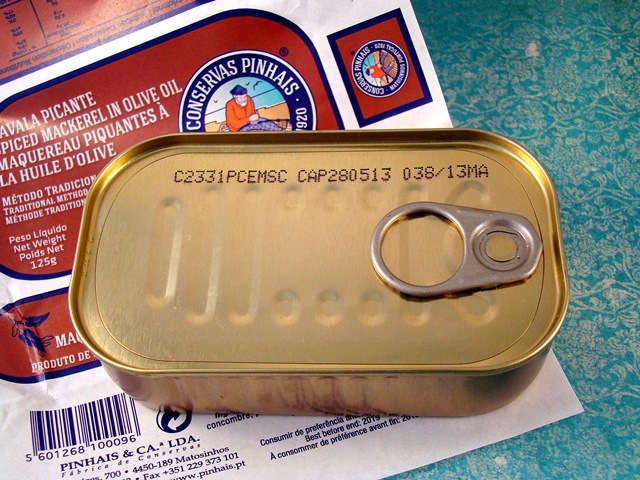 Conservas Pinhais proudly advertises both on their products as well as when asked about their production, to use mostly traditional methods, except for the cooking, sterilization and the sealing of the tins. This clearly entails a great deal of manual work and trust in the experienced hands of Conservas Pinhais’ 140 workers. The reason given by the company’s president Mr. Antonio Pinhal, for the persistence in artisan methods resides in quality. This way they can guarantee a good handling of their raw materials – which are also premium quality. 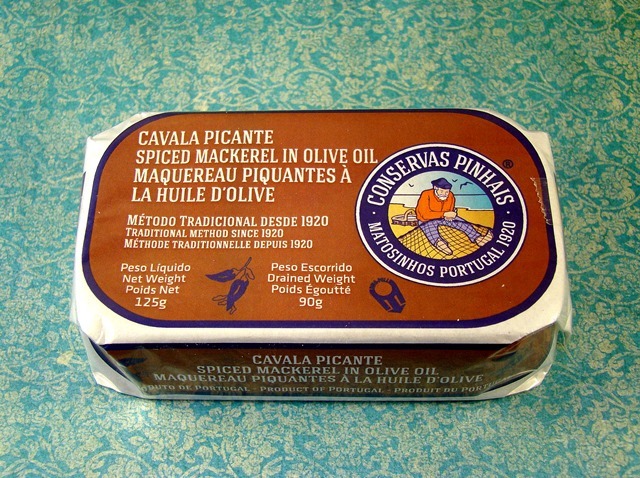 Conservas Pinhais realises that they sell at an above average price range but they also believe that they are supplying a top gourmet product. Unfortunately, for various reasons such products not always get the popularity they deserve in Portugal, and 95% of the Pinhais production is then appreciated outside the Portuguese borders. Overall I find the package quite good. It has a classical design and it’s neatly double wrapped with paper and cellophane. Therefore, I give it a 4 (out of 5) for Package Presentation with thoughts of “perhaps I’m being too picky, just because I would like to see a more modern look”. I decided to stick to my initial feeling and promptly unwrapped it. The can was is excellent conditions, as it would be expected. Opening it was easy, I just had to pull a bit harder towards the end, carefully not to spill olive oil all over the place. I gave it a 4 out of 5 in Easiness to Open. Inside there were three big good looking chub mackerels asking for a bite. The olive oil sauce contained some clove, bay leave, cucumber, carrot and a chilli pepper for that extra kick. It was easy to take them out of the can without any big fuss since the fish was firm. The chub mackerels tasted amazingly good. However, you should know that I absolutely love chub mackerel. Contrary to what many may say, I don’t think chub mackerel is something you just “give to your cat”🙂 It’s a very tasty fish, pumped with vitamins! The package said spicy, and it was indeed spicy. Not like burning hot, oh my god my mouth is numb, but the right amount of spiciness, that you can still distinguish the complementary flavours. Nonetheless, if you want to go all the way, the chilli pepper is there for a reason. 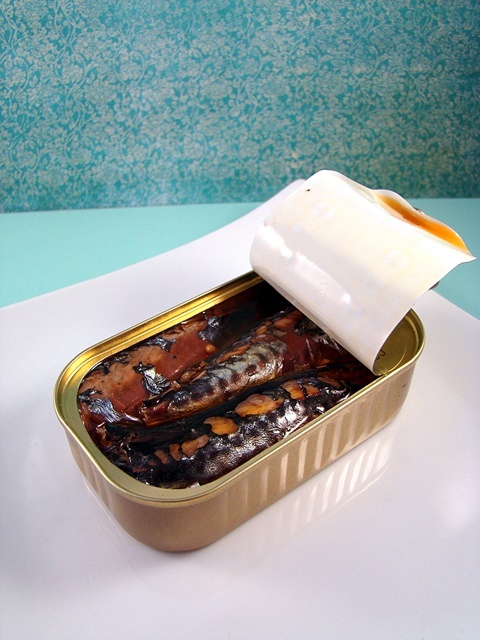 In summary, if you like chub mackerel, you like it hot and you’re in for a high quality canned fish meal, go for it! You won’t be disappointed. 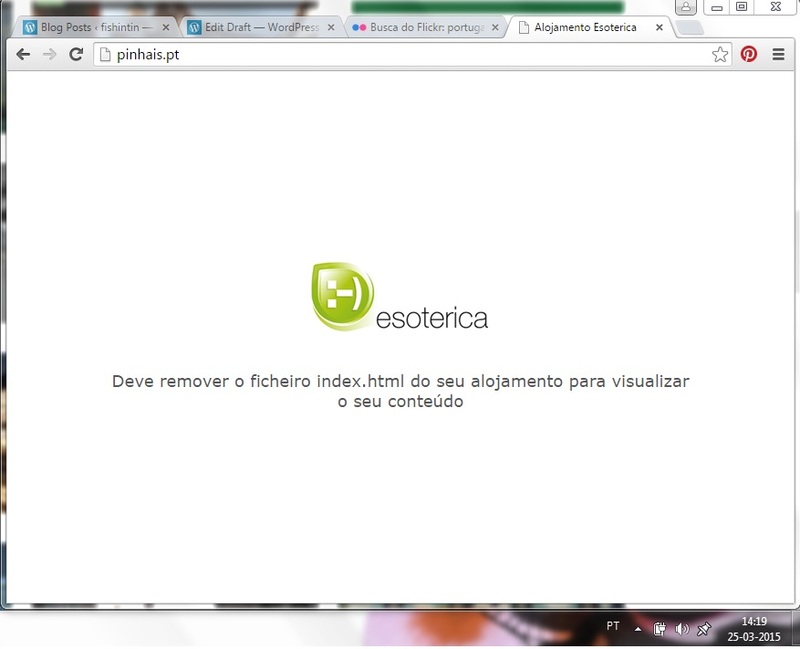 Conservas Pinhais hip hip hurray! Ingredients (as in the package): mackerel, olive oil, cucumber, chilli, carrot, cloves, black pepper, salt. Nutritional Information (per 100g, as described in the package, translated): Energy 320Kcal/1326kJ, Proteins 20.9g, Carbohydrates <1g, Fat 26.2g (of which saturated 5.2g), Salt 1g.